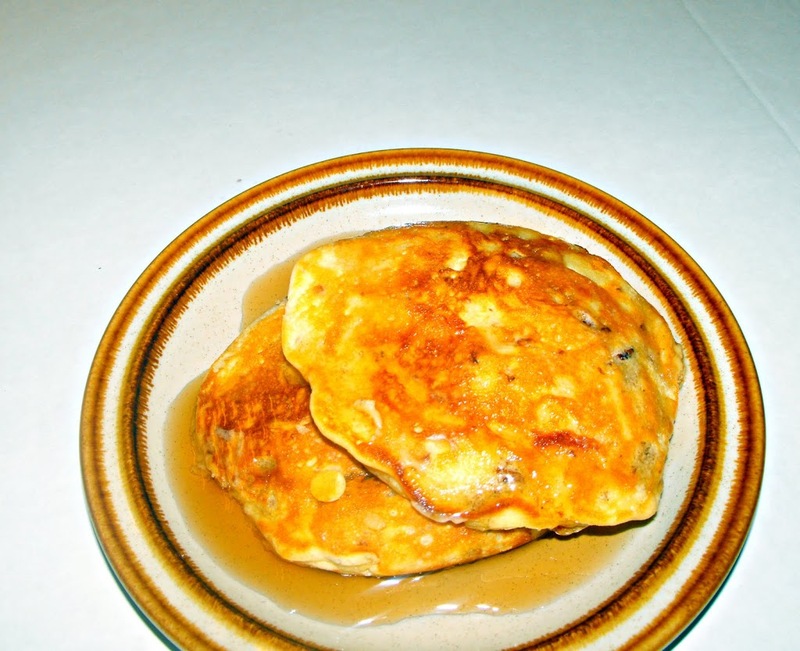 Apple and walnut pancakes, a nice way to dress up everyday pancakes. I love apples! I love walnuts! I love pancakes! So when I came across this recipe I decided that I had to give it a whirl. I have eaten pancakes all my life, but the most exotic pancakes I have eaten are blueberry pancakes. Usually, it is just plain pancake with maple syrup. It’s kind of sad when I think of it. So it was time to step out of my box and try a new experience. My only concern with this recipe was that the apples would stay too crisp or maybe even raw, I wasn’t sure if they would cook long enough to soften up. But that wasn’t the case they were very tasty. I used red delicious apples for this batch of pancakes. The next time I make them I will use a baking apple such as a Macintosh, I think it would be a better fit for this recipe. I have to say to my surprise that these pancakes were delicious. I loved the taste of the apple and the walnuts along with the maple flavor from the maple syrup. What a great combination! 1. 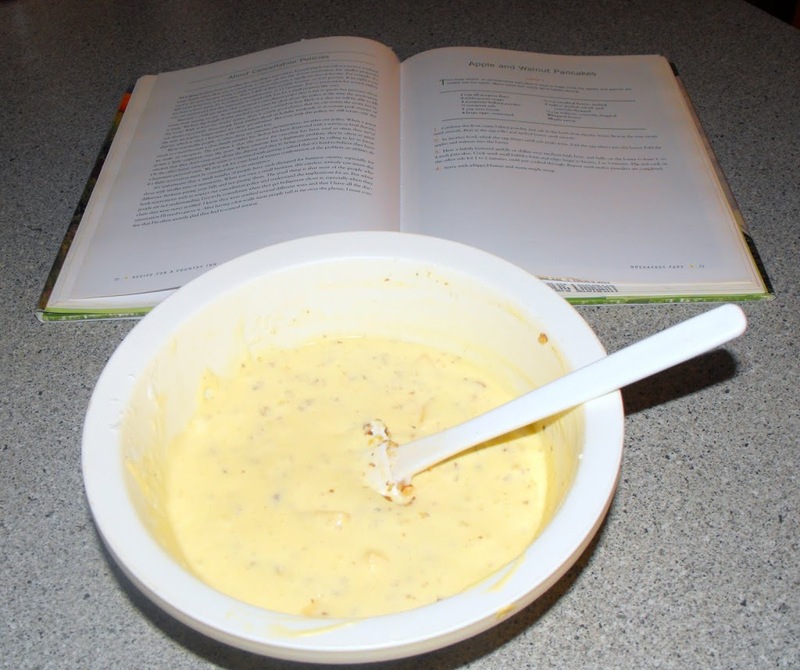 Combine the flour, sugar, baking powder, and salt in the bowl of an electric mixer. Beat in the sour cream until smooth. Beat in the egg yolks and melted butter until smooth. 2. In another bowl, whisk the egg whites until soft peaks form. Fold the egg whites into the batter. Fold the apples and walnuts into the batter. 3. 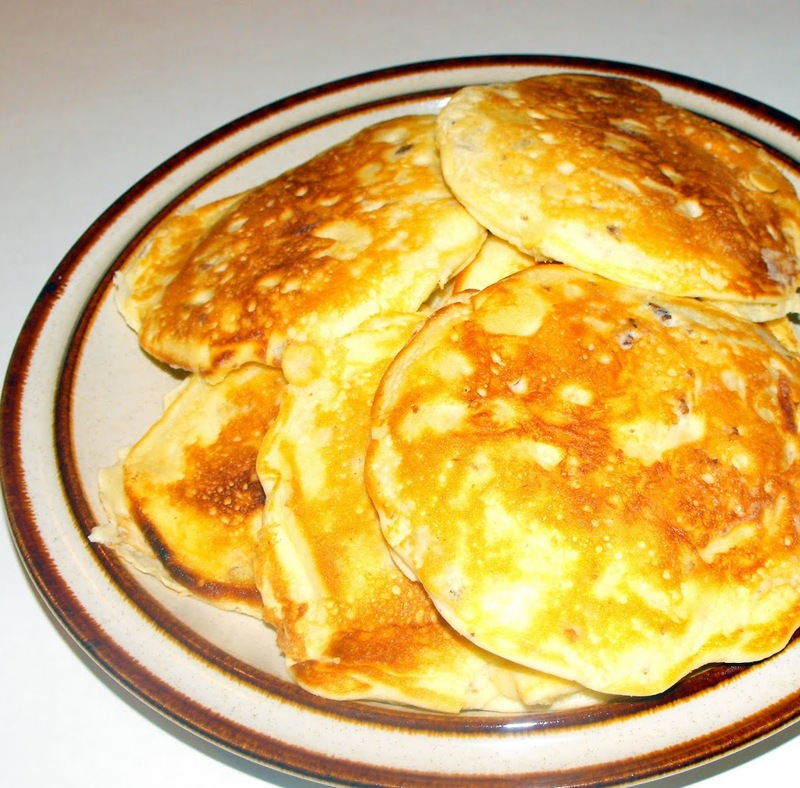 Heat a lightly buttered griddle or skillet over medium-high heat, and ladle on the batter to form 3- to 4-inch pancakes. Cook until small bubbles form and edges begin to brown, 2 to 3 minutes. Flip and cook on the other side for 1 to 2 minutes, until just cooked through. Repeat until twelve pancakes are completed. 4. Serve with whipped butter and warm maple syrup. Enjoy!! I think my kids would really love these! These bring back memories! I used to make a similar one all the time. So scrumptious! With apple season just starting they’re perfect.